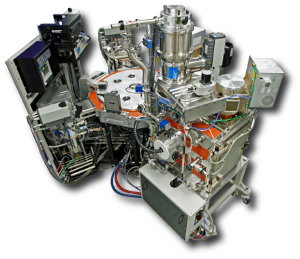 Industry proven thin film deposition tool with high throughput and long term reliability. 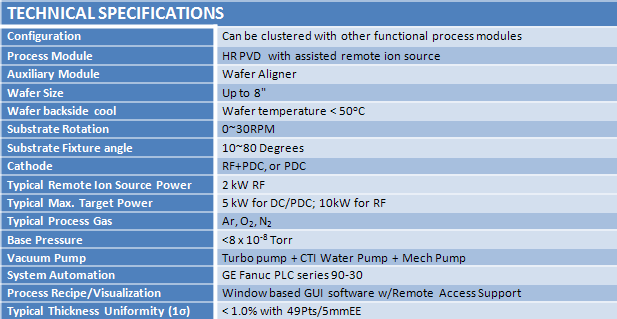 Low wafer temperature with backside cooling and high target utilization. High availability of Commercial off the Shelf (COTS) parts with extensive documentation. 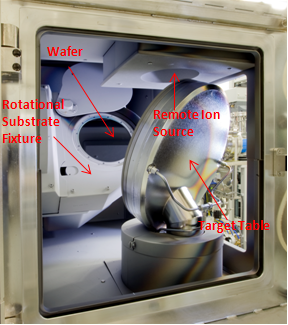 Industry proven thin film deposition tool with high throughput and long term reliability. 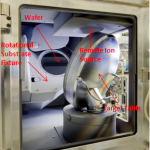 High ionization with assisted remote ion source for directional reactive Al2O3 deposition. 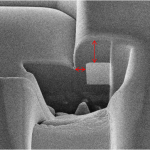 High Al2O3 deposition rate (>1nm/s), exellent film thickness uniformity (1σ<1.0%) and high step coverage (40~50%). Production proven Al2O3 film deposition processes. High rate and highly uniform Al2O3 film deposition tool that replaces old BALZERS CORONA, NORDIKO IBD, IBD 350, Collimated PVD and other Al2O3 deposition equipment. Highly ionized and glancing angle deposition, ideal for Trench Fill and Step Coverage processes. Highly ionized and glancing angle deposition, ideal for Tranch Fill and Step Coverate processes. 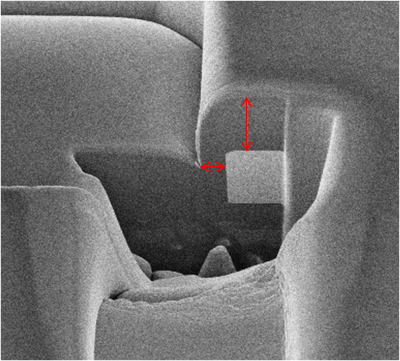 An FIB image with ~47% step coverage. Wafer surface temperature <50 C during process with backside cooling. High throughput for up to ~3um film deposition.